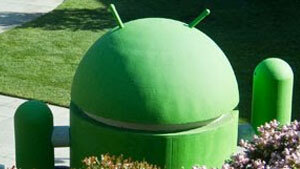 Yesterday Google unveiled its Android 2.2 OS codenamed Froyo at the I/O developer conference. This new version comes loaded with some impressive improvements and enhancements that will boost the Android OS to a whole new level. The Android 2.2 called Froyo introduces something called just-in-time (JIT) compilation that will allow it to run the bytecode into native code at runtime, a huge beenfit for developers who can now see their outputs immediately with less effort. Not just that the introduction of JIT will improve speed and performance of how the applications respond. Android is also set to introduce a number of new features. Some incude support for Microsoft exchange, data backup API for third party applications, a new cloud messaging API enabling push messagest and notifications. Another great feature in Froyo is wireless tethering. 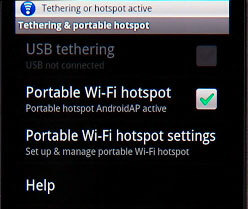 Using an Android handset you can make your own WiFi hotspot, something many of us would like to have. Google also demoed this feature by connecting an iPad to the internet through a Nexus One, ironic isn’t it! All this is great but what is more exciting is Apple’s answer to all these. Will Apple match up to this new Google’s challenge. Since its release Android has been used by 21 hardware makers and by 60 carriers in 40 countries. Thats a lot considering how young this OS is. No release date was mentioned. Next Google Celebrates 30 Years of Pac-Man – Works on Apple!